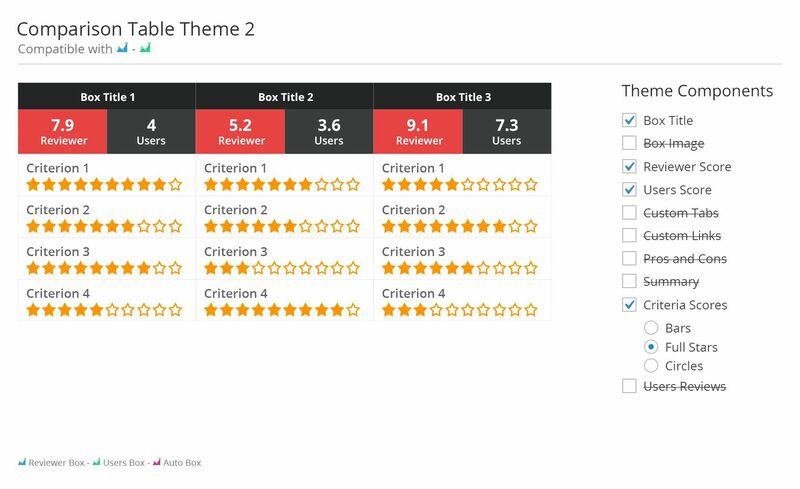 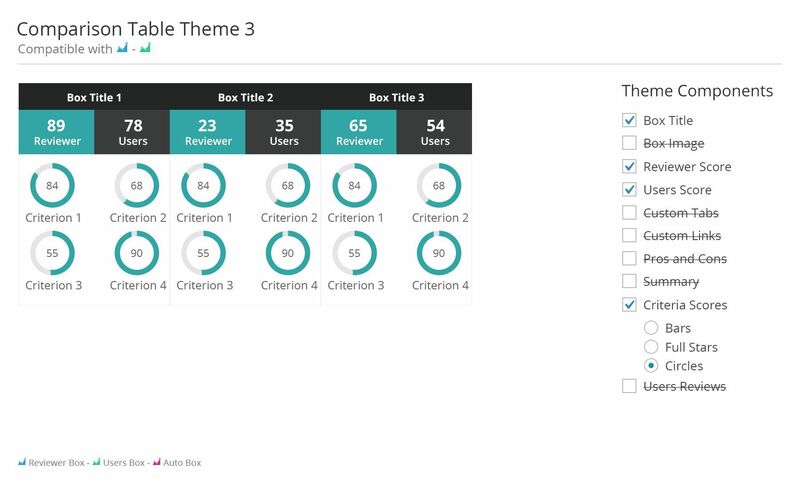 Create powerful and gorgeous review boxes or comparison tables limitless. 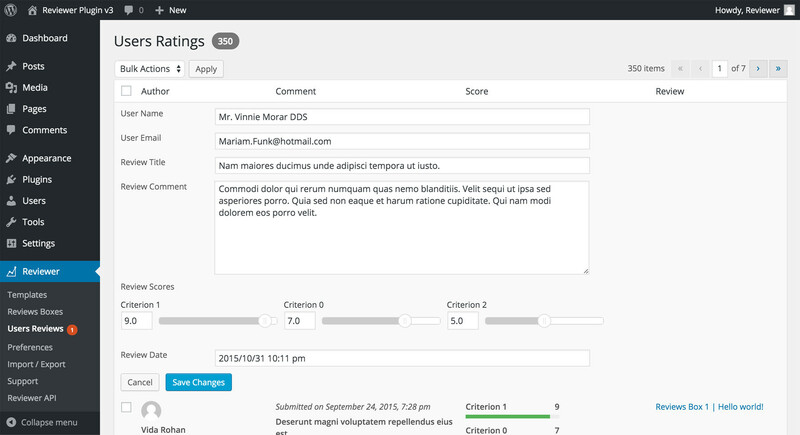 Just fill the information you need to display and place the related shortcode in any custom post type or page. 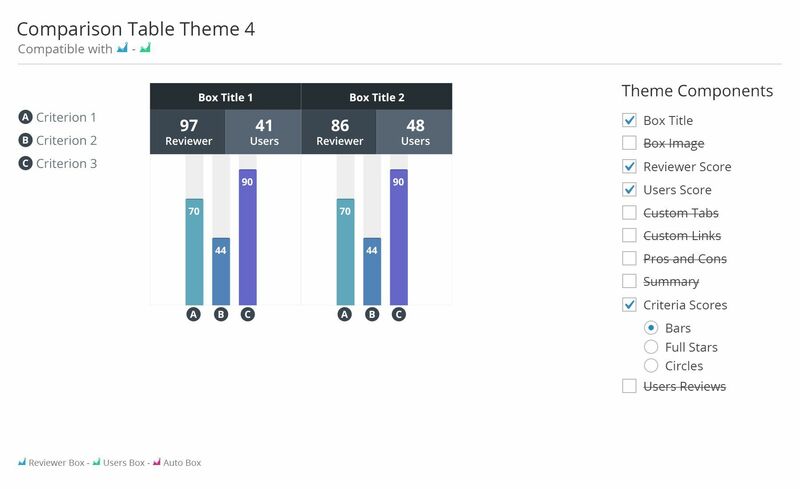 Each theme can be customized. 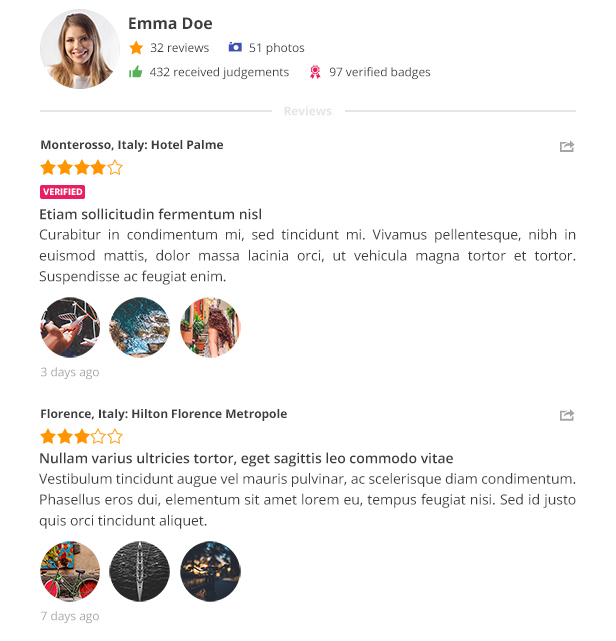 You can set the criteria for your review, score range, colors, labels, font sizes, add custom panels and links, change star icon, add pros, cons, summary and much more. 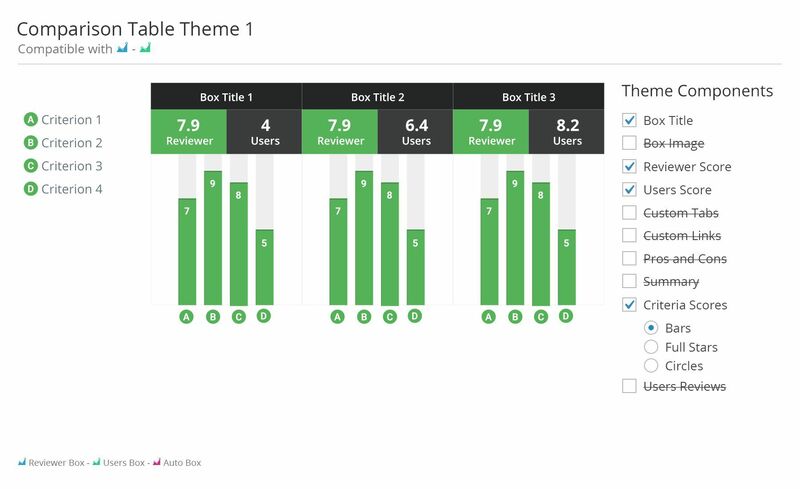 Display reviews boxes and user reviews sorted in different ways inside your theme sidebars. 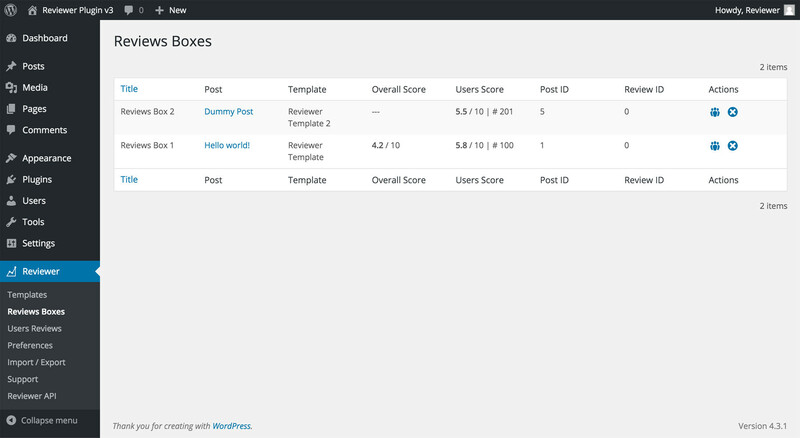 Both widgets are customizable to satisfy on your needs. 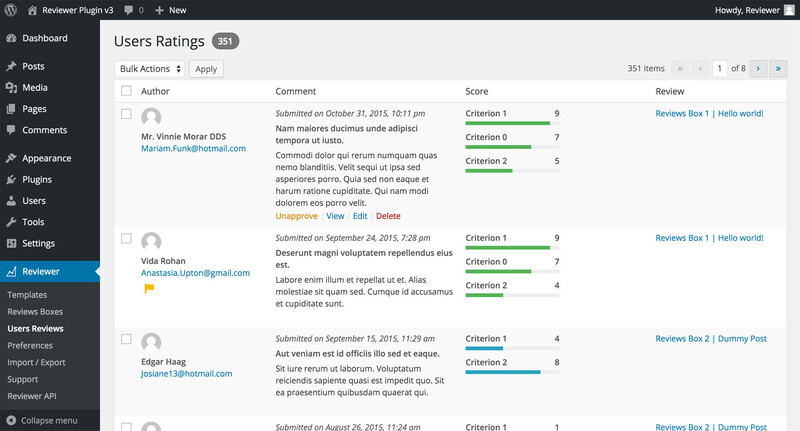 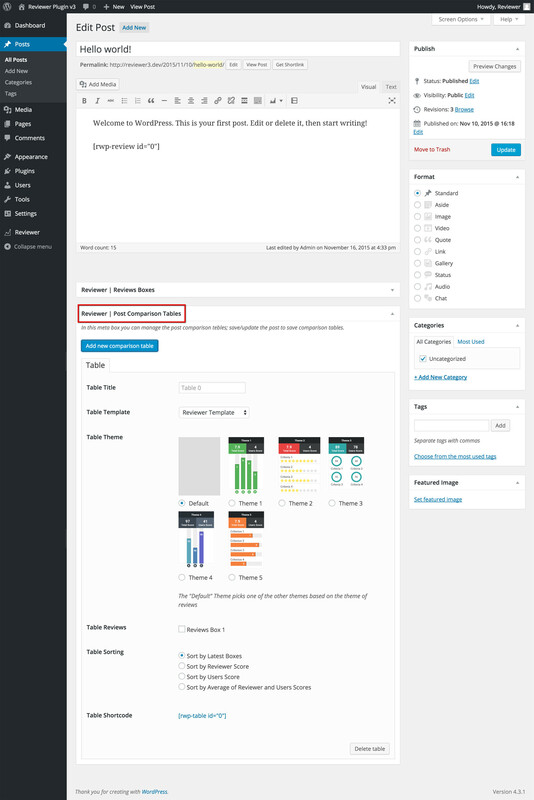 All admin features have been designed and built for simplifying the Blog Authors work. 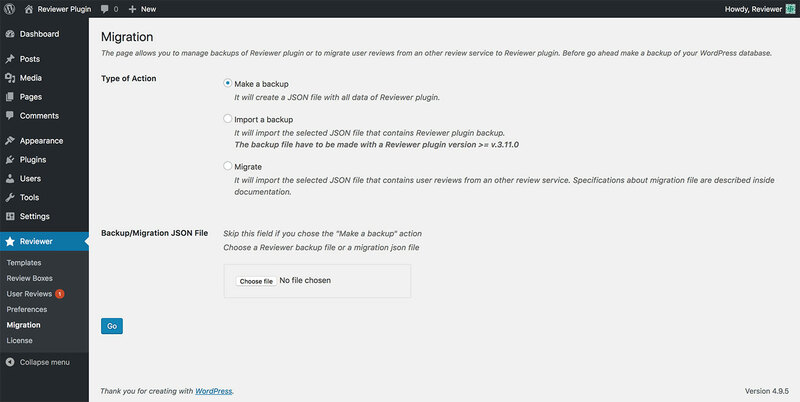 You can manage user review privileges, moderations; manage reviews, tables and much more in a quick and easy way. 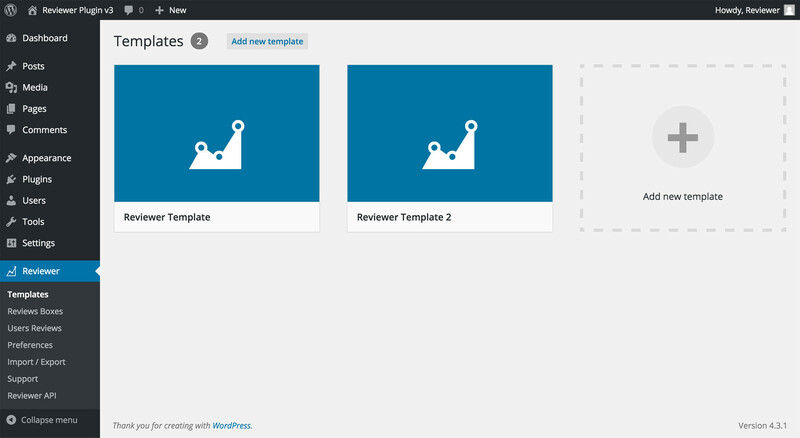 Do you want to integrate the Reviewer plugin with your WordPress theme?